These Chicken Yakitori Skewers are traditional Japanese food, grilled and basted with a sweet and savoury sauce and topped with a zesty sesame-lemon sprinkle. 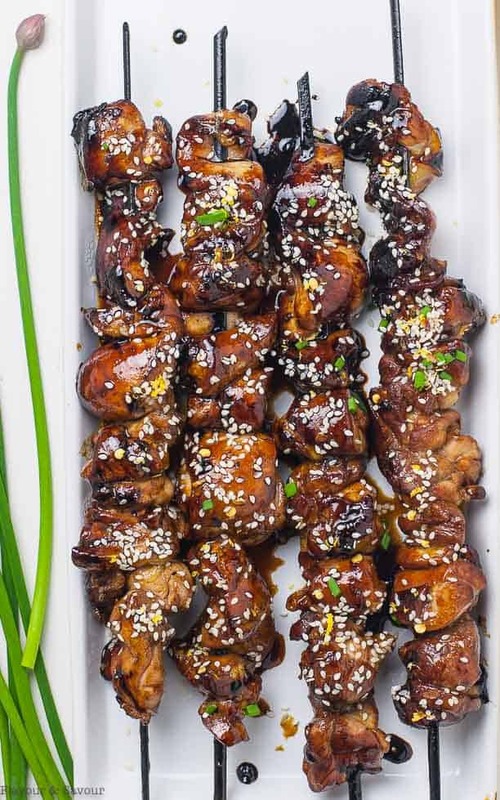 Add some Asian-inspired flair to your next party with these Japanese Chicken Yakitori Skewers! These bite-sized pieces of tender chicken have all the flavours you’d expect in traditional Japanese food: sweet, salty, savoury and umami. But wait! There’s more. They’re garnished with a zesty sprinkle of sesame and lemon which puts them over the top. 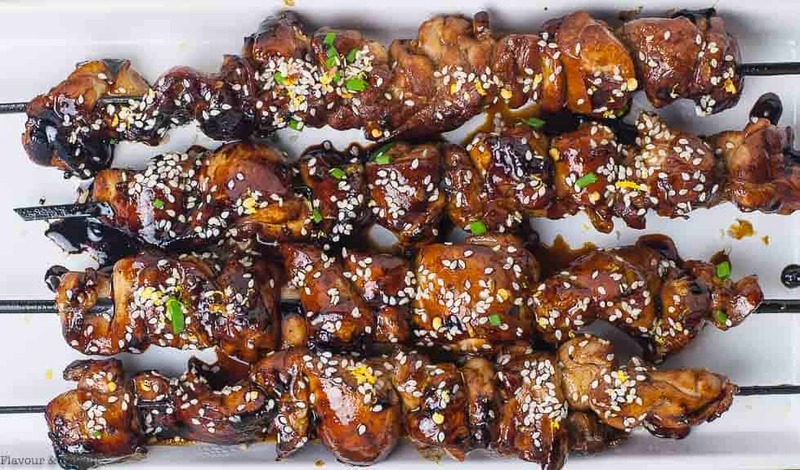 I’ve made these Ginger-Garlic Glazed Korean Chicken Skewers many times lately, but today I decided to try something with a Japanese influence instead! Yakitori is Japanese-style chicken, threaded on to skewers, grilled over a charcoal flame and glazed with a richly flavoured sauce. While traveling in Tokyo, we discovered that yakitori skewers are popular with commuters as an after-work snack, (similar to satay stalls on the street corners of Singapore.) Street vendors offer different types of yakitori outside metro stations and on street corners. 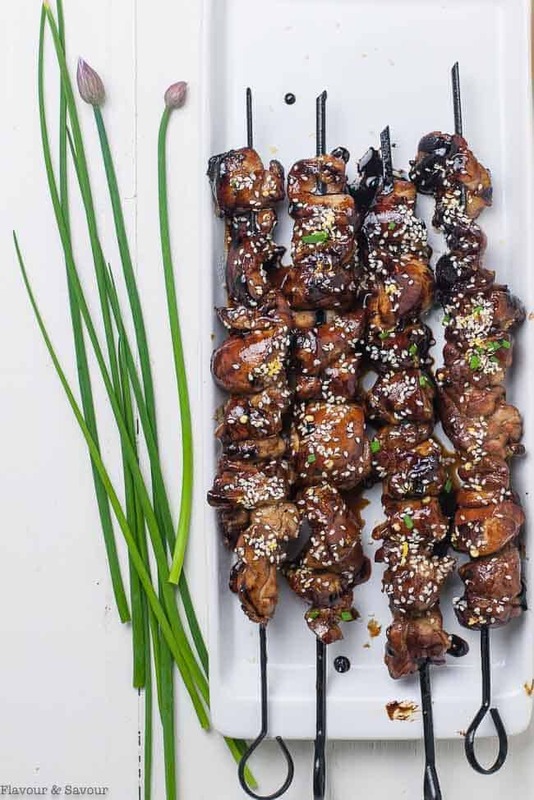 These popular street food skewers are basted in tare, a sweet soy sauce and mirin mix which gives them a rich deep colour. While yakitori has traditionally been viewed as a cheap meal, high-end yakitori restaurants are also popular in Japan. What makes Chicken Yakitori Skewers so delicious? Two things: juicy chicken thighs and an incredibly flavourful basting sauce! The yakitori sauce has those almost indescribable umami flavours. Sugar and mirin (a sweet cooking rice wine, readily available in supermarkets) add sweetness, rice vinegar adds the necessary acid, soy sauce (or coconut aminos or tamari) adds the salty aspect. As you baste the chicken on the grill, the sauce caramelizes, leaving a deep rich colour and flavour on the chicken thighs. There’s no need to travel to Tokyo to enjoy this popular Japanese food! 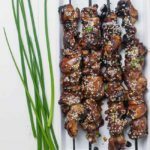 You can make this easy chicken yakitori recipe at home and serve it as either an appetizer or as a main meal with sides. If using bamboo skewers, soak in water for an hour or two. Combine the ingredients for the sesame-lemon sprinkle in a small bowl and set aside. In a small saucepan, combine the basting ingredients. Slice the chicken thighs in half lengthwise, transfer to a resealable bag or marinating container and add 1/4 cup of the marinade. Refrigerate the chicken. Simmer the remaining marinade over medium-high heat until it is syrupy and reduced by half. Remove from heat. Heat the grill. If using charcoal, bank the coals on one side of the grill. If using gas, leave one side of the grill on low heat. Oil the grates. Thread chicken on to skewers, accordion-style. Sprinkle with salt and grill over direct heat, rotating until browned, about 3-4 minutes. Then move to the cooler side of the grill and continue to cook, basting every minute or so until skewers are cooked through and nicely glazed. Remove, top with sesame-lemon sprinkle and/or fresh chives and serve. Expect rave reviews! And if you like tender chicken in a super flavourful sauce, try this 20-Minute Japanese Chicken Stir Fry with Broccoli, too! 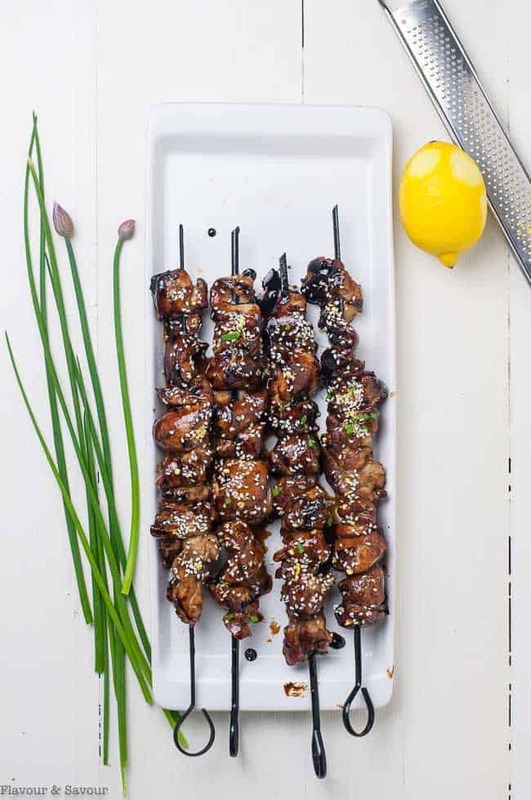 These Easy Japanese Chicken Yakitori Skewers are traditional Japanese food, grilled and basted with a sweet and savoury sauce and topped with a zesty sesame-lemon sprinkle. Combine coconut sugar, mirin, tamari (or soy sauce or coconut aminos) and vinegar in a small saucepan. Before heating, transfer 1/4 cup of the mixture to a resealable plastic bag or marinating container. Slice chicken thighs lengthwise, add to the bag and massage to coat. Chill in the refrigerator for 2 hours or more. Simmer the marinade over low heat until reduced by half. It will have the consistency of syrup. Remove from heat. Heat one side of a gas grill to medium-high and the other to low. (If using coals, bank them on one side). Oil the grates. Thread chicken on to 4 skewers, accordion style. Grill over direct heat until nicely browned, 3-5 minutes. Remove to cooler side of grill and continue to cook, basting and turning every minute or so until cooked through, about 7 - 10 minutes depending on the temperature of the grill. Remove to a serving platter, top with sesame-lemon sprinkle and serve. Make the marinade ahead. Cool and chill, then bring to room temperature before using. Love skewered chicken? Try these ones too. 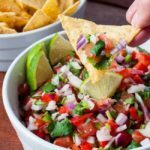 This looks like a wonderful recipe for summer entertaining! The presentation is beautiful, and I’m sure it must taste delicious. Thanks so much, Cathy! It is a good recipe for entertaining because it uses boneless chicken thighs which stay juicy. It’s so easy to overcook chicken breasts. 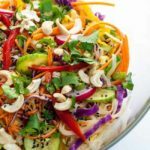 I love the simple healthy ingredients in this recipe and they look amazing! This would make a great easy weeknight meal. Thanks Lisa! You’re right–it is an easy weeknight meal as it only takes about 15 minutes to cook. Great for entertaining too! These skewers look so saucy and delicious Elaine! And I love the sound of those flavours! Happy grilling! Thanks Leanne! Back at you! For starters, the zesty sesame lemon sprinkle got me right away! It sounds wonderful, Elaine. But that chicken – it looks so appealing and delicious. I agree that thighs are the best for a dish such as this. This recipe is exactly what I would be looking for in an appetizer or for nosh time. Thanks so much for sharing. These skewers look AWESOME!. 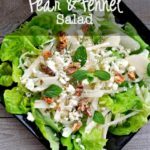 They would make a great appetizer or hors d’oeuvres for a group! 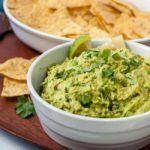 I can’t believe how easy they are too, something anyone can make at home! Thanks Marcus! Street food on your own home grill! Thanks Lizzy— I know you’ll love this recipe. Yakitori Skewers! 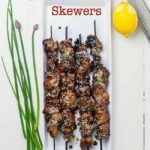 These skewers look and sound sooo amazing. It’s definitely going to be perfect for entertaining this summer! Thanks Lily! They’re great for entertaining as the flavours are ones that everyone loves! Love that you were able to bring some of Tokyo back home with you. This look absolutely delicious! I could eat a bunch of these to myself. I love the flavors here, and that sauce has me droooooooling. I think I was admiring this elsewhere on social media – appealing in every way! Love the use of dark meat – so flavourful! Thanks Diane! Yes, chicken thighs are the best for barbecuing!